She will be tickled pink when she sees this darling locket personalized with her very own name, initial, or monogram. Constructed entirely of safe materials, this solid sterling silver locket will be close to her heart, forever reminding her of those who love her most. 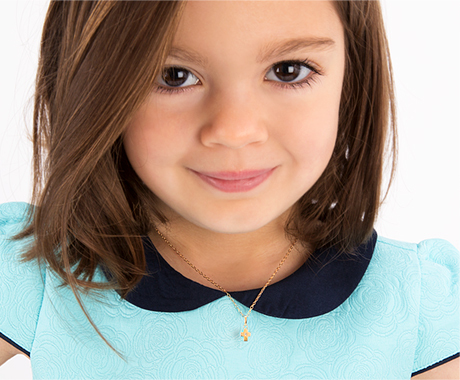 With her beautiful name, initial, or monogram featured on the front, with over 50 cute charms to choose from, you can create something truly unique and special, made just for your little princess. A perfect gift for your perfect girl. Presented in Tiny Blessings signature gift wrapping, her big smile and squeals of excitement will be unforgettable. This teardrop-shaped locket is a timeless addition to her jewelry box.